For the past 37 years, we at Rainbow Acres have been committed to curating a selection of the best, local, sustainable, and holistic products. We believe in every product that makes it onto our shelves, and we would love to show you why. Click the image above to view the latest deals on your favorite items. Our ad not only shows you discounted prices, it also gives you an insight on each product educating you on why we carry the products and why they are 'must haves' in your home. 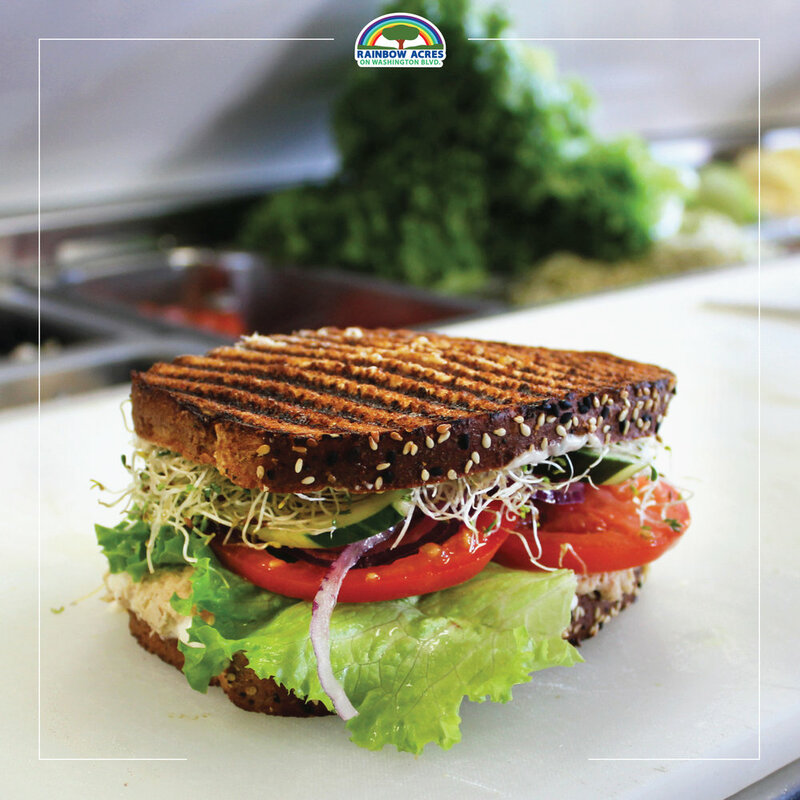 Our Rainbow Acres sandwich bar offers you the power to customize your own healthy lunch. We have a plethora of toppings, spreads, cheese, and meat options. Specialty items like soy cheddar, fresh mozzarella, apple smoked bacon and spicy chicken breast are just a few of our delicious options. 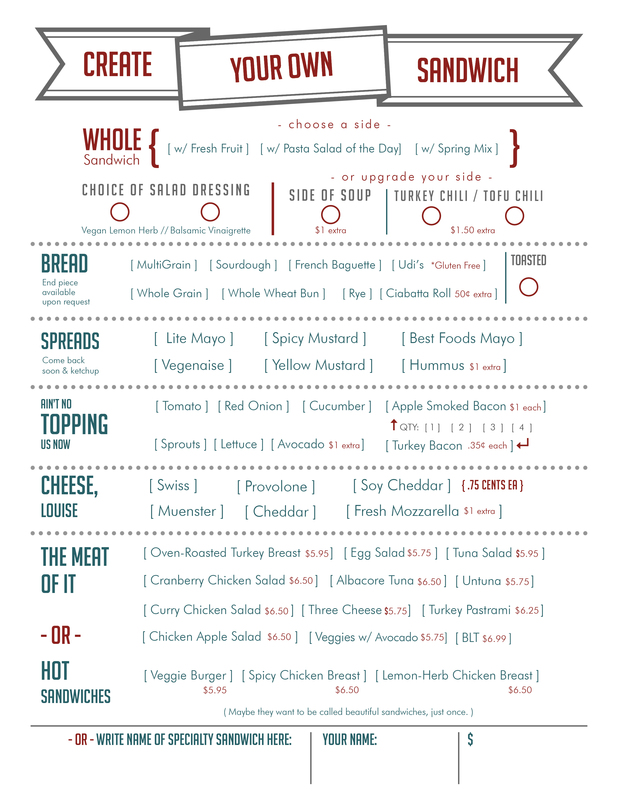 Click on the "Daily Menu" tab to access our sandwich bar order form. Pre-fill your order sheet to get even faster service! Click on the link below or on the image above to see our blog of unique products. We are constantly picking up new and interesting products here at Rainbow Acres. We have a high threshold of quality for the products we carry and each product has a proprietary reason for being sold in our store. Get the most out of Rainbow Acres! Be the first to know about new arrivals, exclusive offers and promotions.